This weekend, the town of Black Mountain will be buzzing with activity during the Sourwood Festival. Honeybees love the summer-blooming sourwood tree, and their hard work makes the region’s fantastic sourwood honey possible. What better way to honor our sweet bees than with a festival that celebrates the sweet stuff they produce! Over 200 vendor booths will line the streets of downtown Black Mountain on August 9 and 10, for this entertaining and family-friendly event. Don’t miss honey-making and bee demonstrations, and be sure to pick up a jar of sourwood honey to take home. And if you’re in town on Friday, August 8, keep in mind that the shops in Black Mountain stay open until 8pm as part of this summer’s weekly Friday Alive after Five event. Music will also be happening on Friday with the Sourwood Idol Contest, where singers compete for cash prizes. 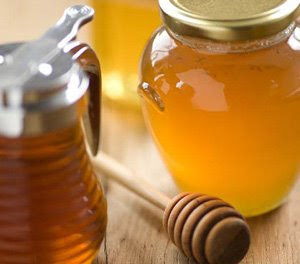 Additionally, Saturday, August 9, is your day to take home not only sourwood honey, but local garden produce, flowers, homemade jams, jellies, herbal products, and crafts, during Black Mountain’s Tailgate Market (9am to noon at 500 Montreat Road). For more information about upcoming events in Black Mountain, contact the Black Mountain Chamber of Commerce at 828.669.2300.